Building a custom home can be a fun and exciting process, and one of the first things you’ll decide is where you are going to build the home. Typically, by the time clients come to us, they already have a specific lot in mind. It is at this point that they want to know if the lot is buildable. If you want to build a custom home but don’t have a lot selected yet, you can work with a Realtor® (and we can certainly refer a few). A Realtor® will narrow down your search by the area in which you want to live, and from there, he or she will have access to what lots are currently for sale. However, before you purchase land, there are many other things to consider about your lot. One question is whether or not a lot is “buildable.” First, let us clarify that for the most part, every lot is capable of being built on, but there may be some aspects of the lot that make it a budget-breaker. Public or private sewer and water. Do you have a preference of public or private water and sewer? Cost-wise, you will be required to pay a fee to tap into the public system and this cost can vary greatly, depending in which municipality your home is located. If you are going to need an on-lot well and/or septic system, costs vary depending on how deep you need to drill to get well water and what type of septic system is needed. Rock. If there is a lot of rock on the property that needs to be excavated or blasted, this will drive up construction cost. To figure out if your lot is rocky, take a close look to see if there are large boulders poking out of the ground. You can also talk to neighbors and ask what their construction experience was. Environmental concerns, such as a flood plain or wetlands. Building in a flood-prone area can increase your homeowners insurance costs significantly, and there are extra construction costs associated with taking the necessary steps to preserve wetlands. Another cost when building is adhering to stormwater management regulations; these fees vary from municipality to municipality. Access to the lot. This includes how far from the road utilities will have to run to connect to the house. Naturally, the longer the distance, the greater the cost. Some home buyers opt to save money with an unpaved driveway, although some municipalities require that the driveway be paved, not stone, which negates this potential cost savings. Direction of the house. How the house is situated on the lot can affect house design – the view, the landscaping and even energy efficiency. Grading of the lot. This will affect whether you can have a daylight or walk-out basement and what additional measures need to be taken to ensure that rain water moves away from the foundation. Deed restrictions. These are put in place by the developer and can dictate anything from the size of the home to the exterior materials used on your home. Furthermore, deed restrictions can also determine the type and height of a fence and other outside amenities, such as a clothes line or pool, that you may want to consider in the future. Keep in mind that you’ll want to work with a builder who is experienced in building custom homes – in the area you are considering. They have history of the region and can provide advice and alternative methods so that buyers can get a home built where they want. At Metzler Home Builders, we build homes of all sizes and styles for all budgets. 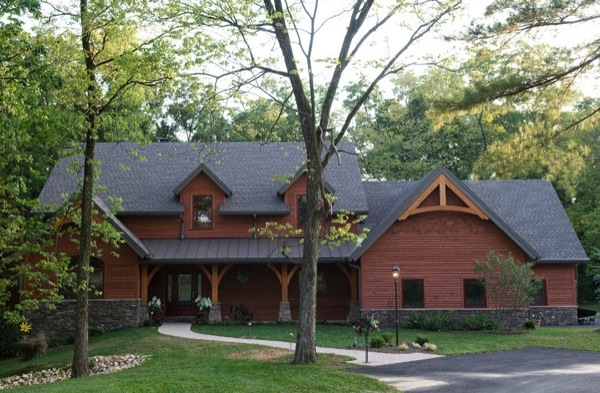 Learn more about our custom home building services. Posted in New Construction, Process on July 24, 2014 by metzler.